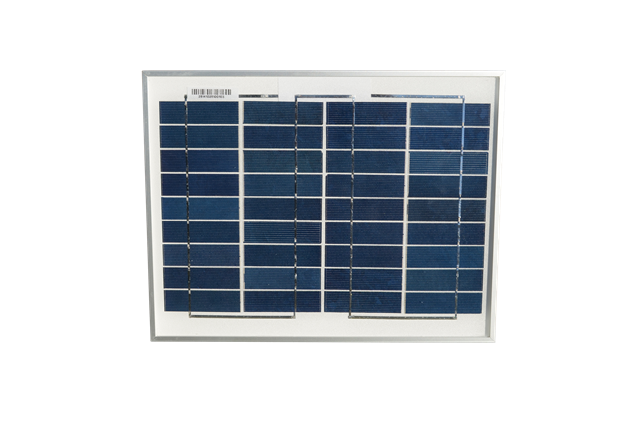 The polycrystalline solar module BLD10-36P with a nominal power of 10 watts is suitable due to its low nominal voltage of 17.5 V excellently charging 12 volts batteries and in series connected also for 24 Volt batteries. The preVent solar module consists of different laminated layers. At the bottom is a white plastic backside, a double-sided adhesive film, the actual doped wafer, a double-sided adhesive film and then a specially hardened glass surface. The individual components are pressed together under pressure and temperature.As a result, the back and front sides are very well protected against the penetration of moisture.